Take a trip north of Cariboo Country into the vast wilderness of British Columbia between the Coastal and Rocky Mountain ranges. There, you’ll find high plateaus and deep river basins of the Fraser and Chilcotin, thick forests of Douglas Fir, and Lodge Pole Pine as far as the eye can see. Williams Lake, the small city with a population of only 11,000 people, sits quietly in the middle of it all. 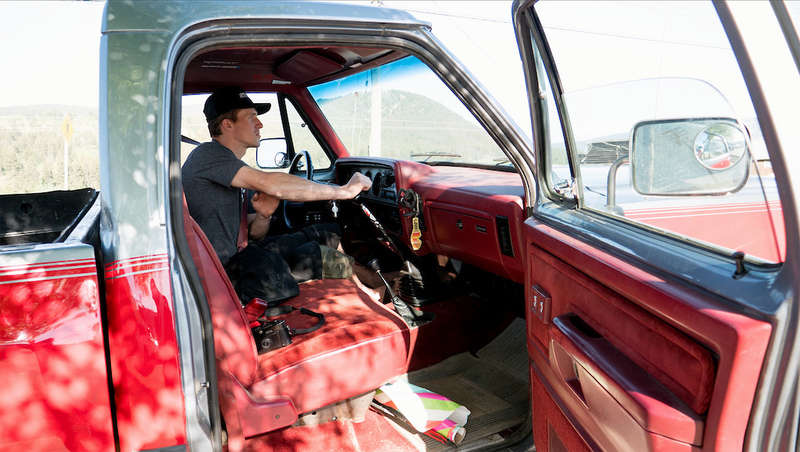 James Doerfling is seen loading his bike, a man in his element, onto his 1991 Cummins Diesel Dodge Ram. Standing on a high vista looking out over this great wilderness that expands in every direction, the scope of the ages seems less blurred. The people of the First Nations have traversed this landscape for thousands of years. Modern settlers who migrated in hopes of gold and mineral wealth dated back a few hundred years. Williams Lake today is the visible combination of this history, although a more recent phenomenon continues to grow and thrive: Mountain Biking. Raised in Williams Lake, James’s story travels with the evolution of mountain bikes and plays a significant role in the interpretation of the sport: What is possible on two wheels? 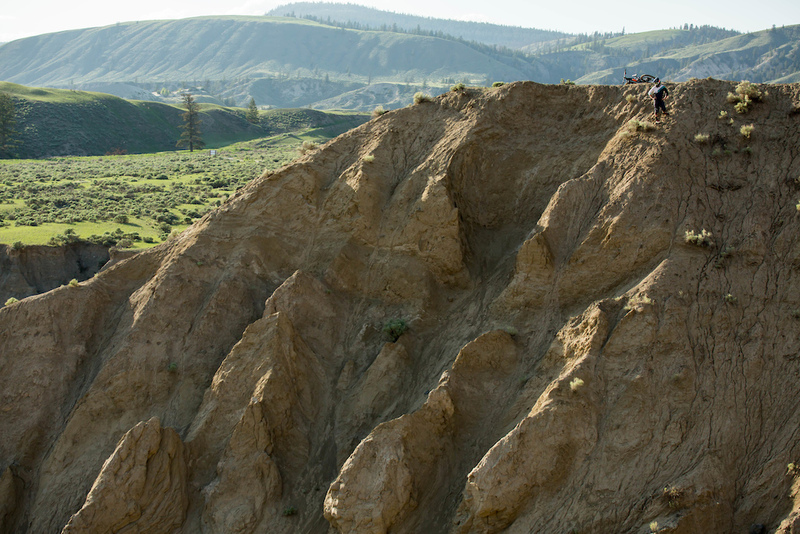 Since childhood, James has explored this terrain in terms of mountain biking. Those who have followed James over the last 15 years have been amazed by his abilities and creativity to find and ride so many incredible lines. Raised in Williams Lake, in a time that happened to coincide with the beginnings of people riding bikes over mountains, James’s story is one that travels with the evolution of mountain bikes and plays significant role in the interpretation of the sport: What is possible on two wheels? Since his childhood, James has translated this terrain into terms of mountain biking, and those that have followed along over the last 15 years have been amazed by his abilities and creativity to find and ride so many incredible lines. On this particular trip, with James as our guide, we explored what Williams Lake has to offer. 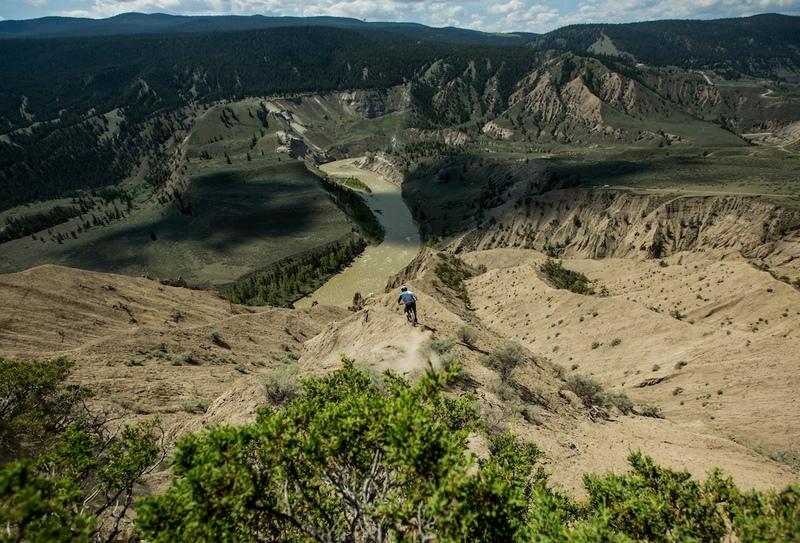 From his own hand-built jump lines within the Douglas Fir to loose ridges and hoodoos towering above the plump Chilcotin River, The Goat’s (as he’s also known as in certain circles) unique and natural style shines here on his home turf. Joining forces with Box Components and SRSUNTOUR, Matt Brooks of Lone Wolf Productions brings us on an epic adventure following James on this wild ride. 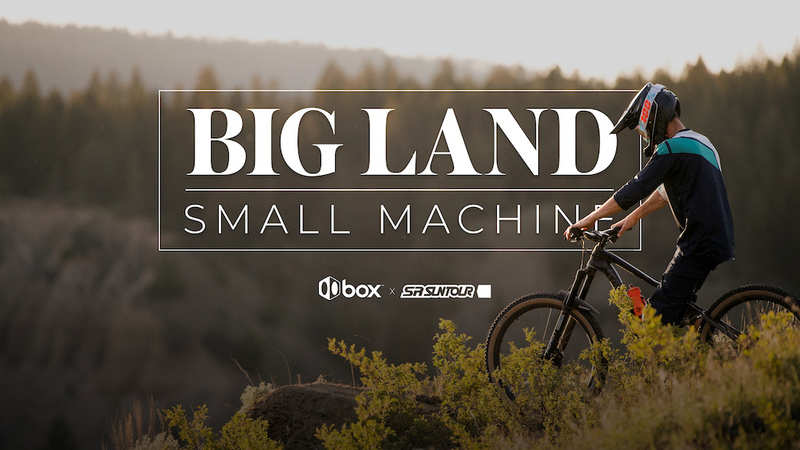 In Part 1 of 2, ‘Big Land, Small Machine,’ James evolves again, taking on big terrains with a new machine trail bike utilizing Knolly Warden Carbon with SRSUNTOUR Auron35 forks and TRIAir 3CR shocks, along with Box Component’s Box One Drivetrain. For more information on Box Components, please visit boxcomponents.com. Didn't know Christopher Nolan and Hans Zimmer are into biking. @DonkeyTeeth: have you been to Williams lake? The hero is the volunteer police that round up the drunks with guns at the stampede every year. I put on some Rise Against before pushing play and was instantly transported back to a time when freeriding reigned supreme. Good stuff. dear mtb industry, we want to see a lot more of James. Always laying down some tasty tabs! Did GIF just save the internet. Video and Image in one package. only thing I hate more than a slow-mo, is a fast-mo. 1:33... WTF. Otherwise this is good stuff on mute. Such a damned good rider!